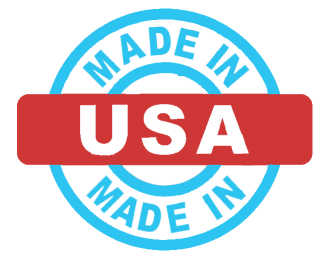 Manhole rehabilitation is a constant necessity for utility departments and municipalities throughout the country. 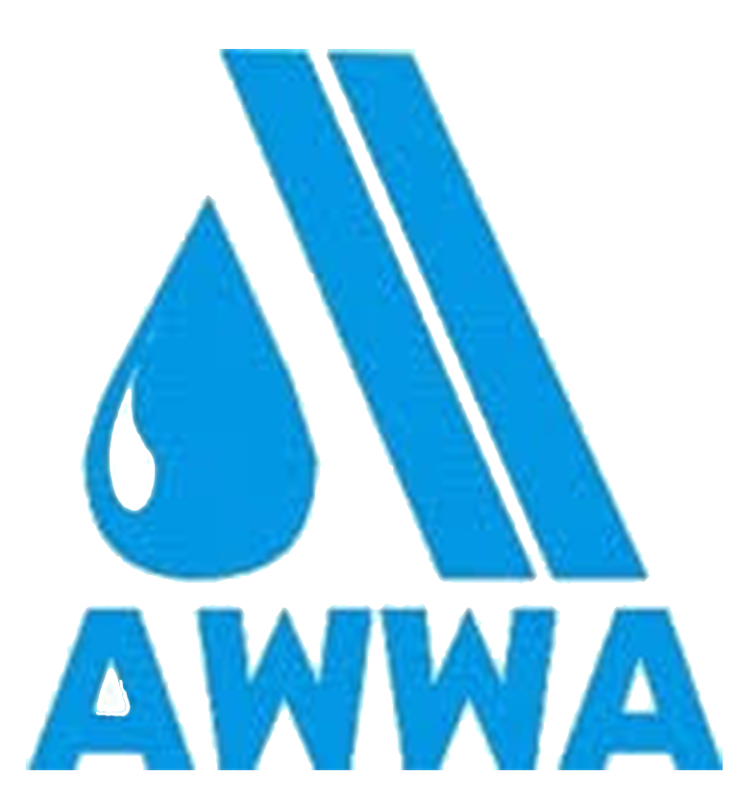 Corrosion caused by hydrogen sulfide (H2S) cannot be avoided, often leading to strained city budgets when issues are not dealt with until problems occur. 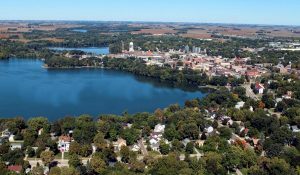 The city of Fairmont, Minnesota is one of many cities throughout the country involved in the growing trend of protecting assets prior to failure and catastrophic damage to get ahead of the inevitable issues that occur when manholes are left unprotected. The city of Fairmont’s wastewater collection system utilizes 75 miles of sewer lines with 30 lift stations. During routine inspection, one of the sanitary sewer force main manholes within the collection system was identified as a turbulent manhole. The city decided to take the proactive measure of lining this two-year-old precast manhole, which has a 6′ diameter at the base and tapers to 4’ x 13’ deep, to protect the asset from any future corrosion and deterioration that would require costly measures to correct. 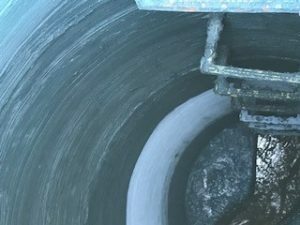 CLADLINER is quickly becoming the number-one choice for manhole rehabilitation. There is no comparison to the simplicity and durability CLADLINER products offer. 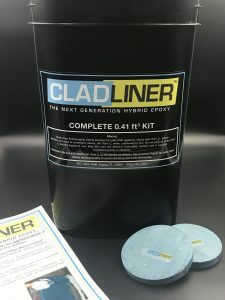 Designed specifically for sanitary sewer collection systems, CLADLINER offers the simplicity of a cementitious liner and the performance of a high-build epoxy, and it provides high chemical resistance and antimicrobial performance at an affordable cost. 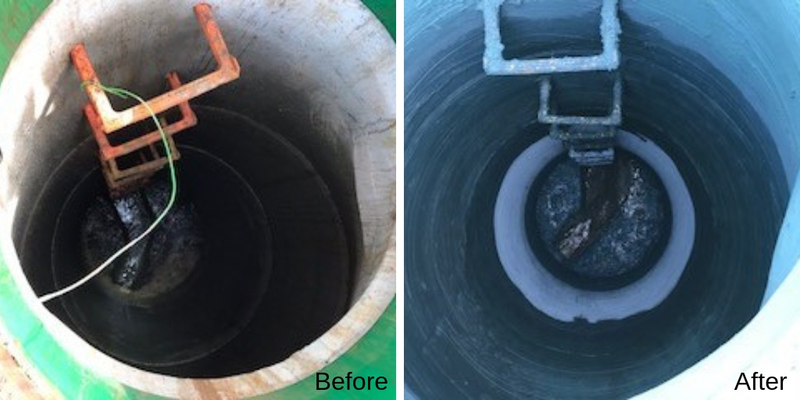 Using CLADLINER products ensures that manhole rehabilitation occurs in a timely manner, eliminating costly, lengthy shutdowns. The rehabilitation of this Minnesota manhole was completed from start to finish in several hours. Minnesota’s CLADLINER sales representative Richard Hanson of Floorcoat Midwest and applicator Fieldstone Services worked together to complete this application. After the surface preparation, involving high-pressure water blasting, a mortar pump was used to spray on CLADLINER. Once the product was firmly set, it was smoothed over with a chip brush, hand trowel, and damp sponge. One of the many advantages of CLADLINER is its simple application. No complicated equipment is necessary. This practical, economical approach to sanitary sewer manhole and infrastructure lining provides ease of application specifically for underground environments while delivering quality performance and savings. Fairmont city officials’ decision to take a proactive approach to addressing their city’s sanitary sewer collection system will pay off for years to come. 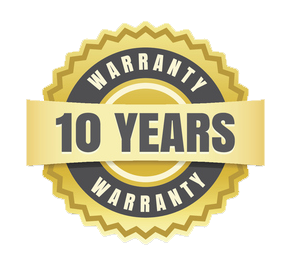 With CLADLINER’s 10-year warranty, they can rest assured that this manhole will remain sound and protected for years to come, allowing them to redirect their resources to other areas and saving taxpayers money in the long run.